What is color therapy? Color therapy or chromotherapy as it is sometimes called, is the practice of treating disharmony within your body with color or light in the seven primary colors of the rainbow. The same seven colors as those in Chakras. I’ll get to those in a moment. Color therapy is based on the belief that specific colors have healing and restorative properties related to specific areas of our physical or emotional health. Practitioners of color therapy may utilize crystals, prisms, gemstones, candles, optical aids (one is called a lumascope) – even colored fabrics. Where did color therapy begin? There are a number of theories about how it originated. We know that the ancient Egyptians believed in the power of color because many houses were built with colored panes of glass in the roof. This allowed the sun to shine through and treat the occupants inside. Different colored silks were also worn according to the specific disorder while the individual was sitting in direct sunlight. In traditional Chinese medicine each organ of the body is associated with a color. The practice of “qijong” goes even further linking healing sounds with each color. “Ayurveda,” an ancient form of medicine practiced in India embraces the belief that each one of us contains the same five basic elements of the universe: air, fire, water, earth and space. When these elements are thrown out of balance by illness or our actions, ayurvedic medicine employs the energy inherent in the seven colors of the spectrum to restore balance. 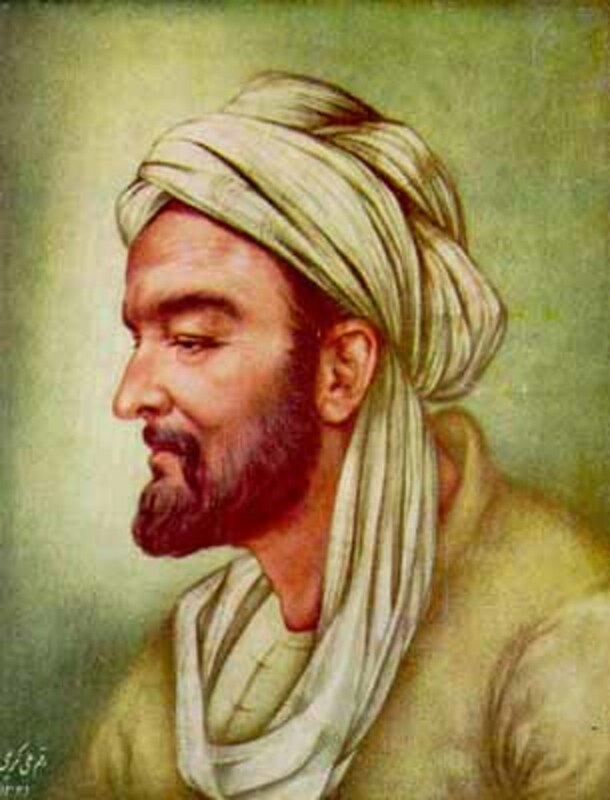 One of the most illustrious practitioners of color therapy was Avicenna also known as Abu Ali Sina (980-1037). He was a Persian physician and philosopher born near Bukhara, Persia – now Iran. By the time he was ten, he had learned the Koran as well as Arabic grammar and literature. By the age of sixteen, he had mastered natural science, rudimentary metaphysics and medical theory. He was not satisfied with just a theoretical understanding of medicine so he began to treat the sick. He knew enough about medicine to treat the ailing ruler of his province, Nuh Ibn Mansur. His successful treatment gained him access to the well-stocked library of his ruler. Avicenna was one of the main interpreters of Aristotle and the author of over 200 books on science, religion and philosophy. His two most important works were Shifa – The Book of Healing and The Canon of Medicine. The first is a philosophical encyclopedia based on Aristotelian tradition and the second the most famous single book in the history of medicine. His medical system was long the standard in Europe and the Middle East. He died in 1037 in Hamadan, Iran. In the Canon of Medicine he explained the ability of color therapy to help diagnose an issue as well as cure it. He mentioned the effects of colors frequently. Avicenna would examine the color of his patient's skin, eyes, hair, urine and even excrement. As an example, Avicenna associated yellow skin with a problem with the liver while white skin suggested a problem with the spleen. He often talked of a person's humors and wrote that the color, red, would assist blood circulation and cure aliments of the blood, whereas white would dampen one’s energy. Almost every living organism depends on light in some way for survival. Although light itself is colorless, it carries a full spectrum with a frequency and vibration for each color. In 1666, it was English scientist, Sir Isaac Newton, who discovered that when pure white light is passed through a prism, it separates into all of the visible colors. Newton also found that each color is comprised of a single wavelength and cannot be separated any further into other colors. (And you thought all Newton did was catch an apple with his head). 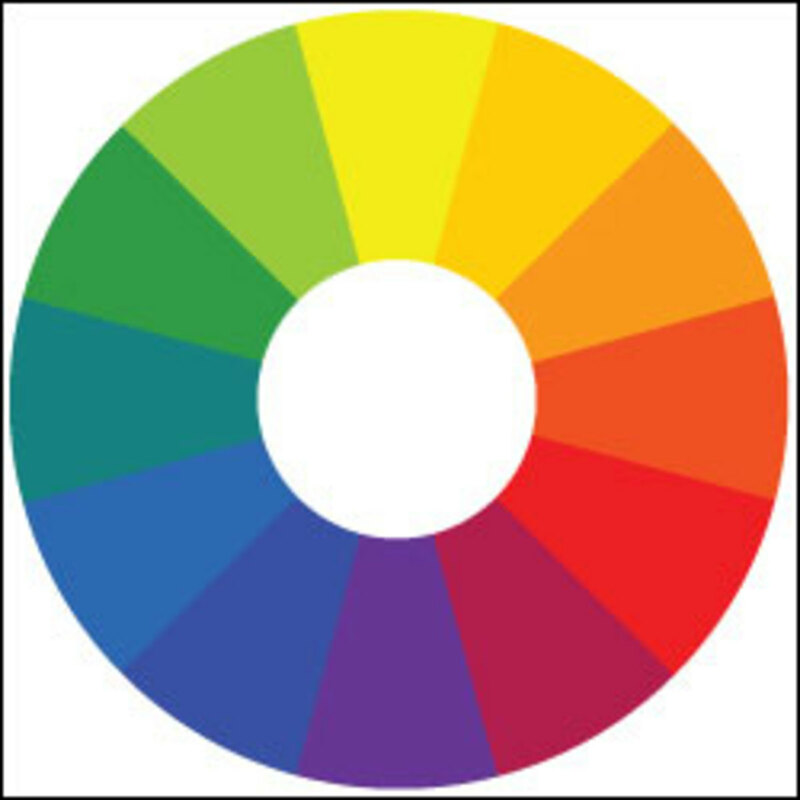 Color therapists believe that each color relates to specific areas of the body. When the vibration and energy of a specific organ is disturbed by either disease or distress, that organ must be brought together with its related color to restore healthy balance. When light enters the human eye, it triggers internal hormone production that controls the complex biochemical system of our bodies. Light absorbed through our exposure to the sun or artificial sources also influences our emotional and physical health. Color therapy can often mimic the natural absorption of color from light to supply what we may lack to keep our bodies and minds balanced. Asian medicine has shown us how meridians carry energy throughout our bodies, connecting to each of the organs in turn. Acupuncture is used to remove blockages in the energy flow of meridians, and color is used in the same way. Chakra is a Sanskrit term which means spinning wheel or whirlpool. 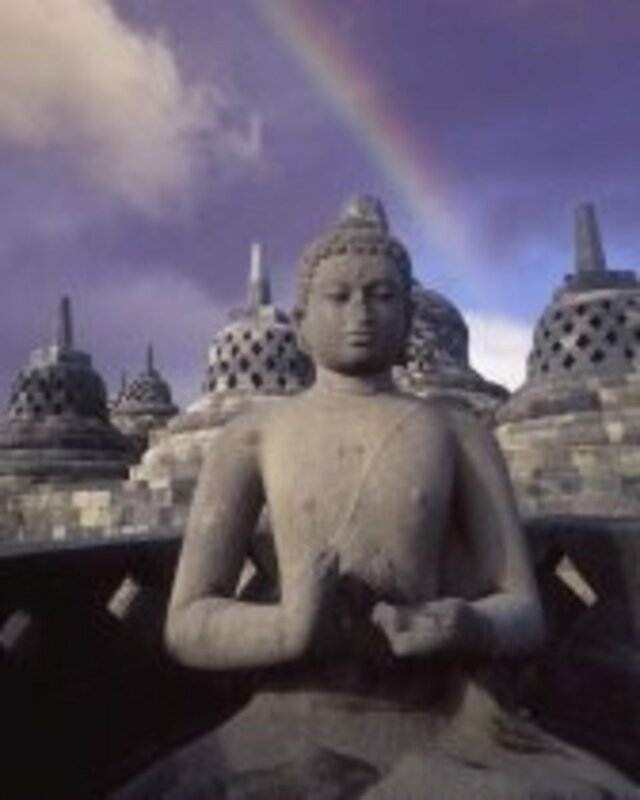 In Sanskrit it is spelled “cakra,” with the c pronounced as ch. The modern usage of the word is “wheel of light.” Chakras or energy centers were first studied and described about 2,600 years ago by ancient healers. Incredibly, the location of the seven chakras, which we all have, is anatomically correct. 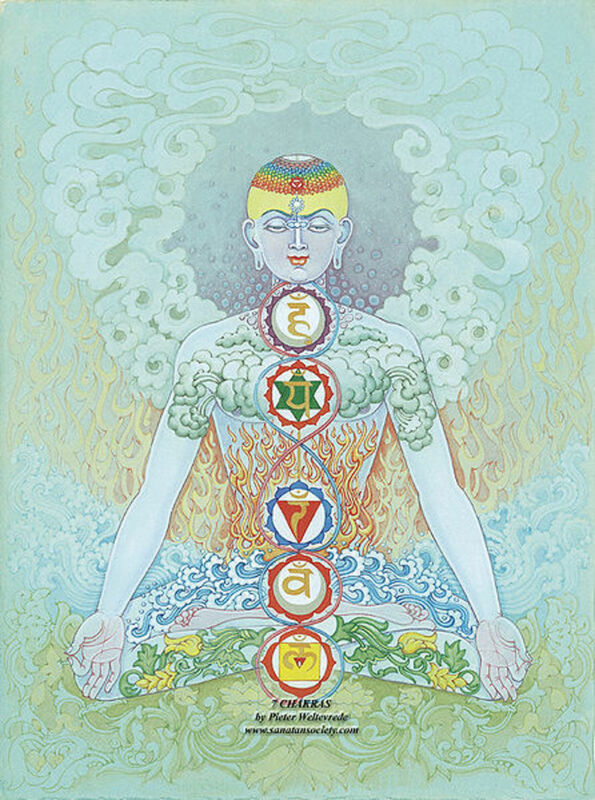 Each chakra is also associated with one of the seven endocrine glands. So each organ and its functions are connected to our chakras by the nerves which generate from them and by their respective endocrine gland. The first, the Base or Root chakra is located at the base of the spine and is associated with the color red. It governs our physical existence, our bodies and our health. The second, the Navel or Sacral chakra is located in the area of the womb (or in that vicinity for men) and is associated with the color orange. It governs creativity and some say, emotion. The third, the Solar Plexus chakra is located at the solar plexus and is associated with the color gold or yellow. It is associated with our will or desire. The fourth, the Heart chakra (the middle chakra of seven) is associated with the color green, and also the color rose, which is the "color of love." This chakra is connected with emotion and human love. There goes the practice of giving red Valentines to our beloved. Green or rose but not red. The fifth, the Throat chakra is associated with a bright blue color. It governs communication and personal magnetism. It is the chakra that most influences communication and our "personas." It is also the link between emotion and thought. The sixth, the Third Eye chakra is located at the mid-forehead (where a third eye might be if we owned one) and is indigo, a deep purple-blue. This chakra is associated with thought (though some chakra-ites believe the third chakra governs thought), and with vision, particularly psychic vision. It is also the chakra of spiritual love and connection. The seventh, the Crown chakra is at the crown of the head, and is violet fading to white further away from the body. This chakra is our connection to our "higher selves" and to the "divine." It is associated with wisdom and integration of our eternal self with our physical self. It is like our umbilical cord to "God." When all our chakras are “whirling” – that means they are open, bright and clean, then our chakra system is balanced. When a chakra becomes blocked or damaged, then our physical and emotional health can be affected. This may occur as the result of negative or incomplete belief systems. Our feelings, thoughts, beliefs, fears, desires and habits can be found in our chakras. Here’s an example. Do you eat mostly frozen dinners at supper time, lots of processed food and rarely exercise? Then your root or base chakra may become sluggish and dull. If you hold in your emotions because they are painful or overwhelming, your heart chakra is likely to become tight and closed and block emotional energy. If you are very centered in your intellect, you may have a bulging and bright third eye chakra but a disproportionately small heart chakra or root chakra or womb chakra. Your goal is a strong, clear, balanced energy system. The more open, clear and balanced your chakras, the more energy that can flow through your system. This energy is essential for vitality, health, and continued growth. Have you noticed how our behavior responds to specific colors? The next time you are in a fast food restaurant take a look around at the walls. Are the colors bright and powerful? Red? Yellow? Orange? Those colors have been selected to make you feel happy but they also have been proven to stimulate the nervous system and increase your appetite. More importantly, they may also contribute to your feeling uncomfortable if you stay too long. Which helps the restaurant to to “turn the tables over” more rapidly. 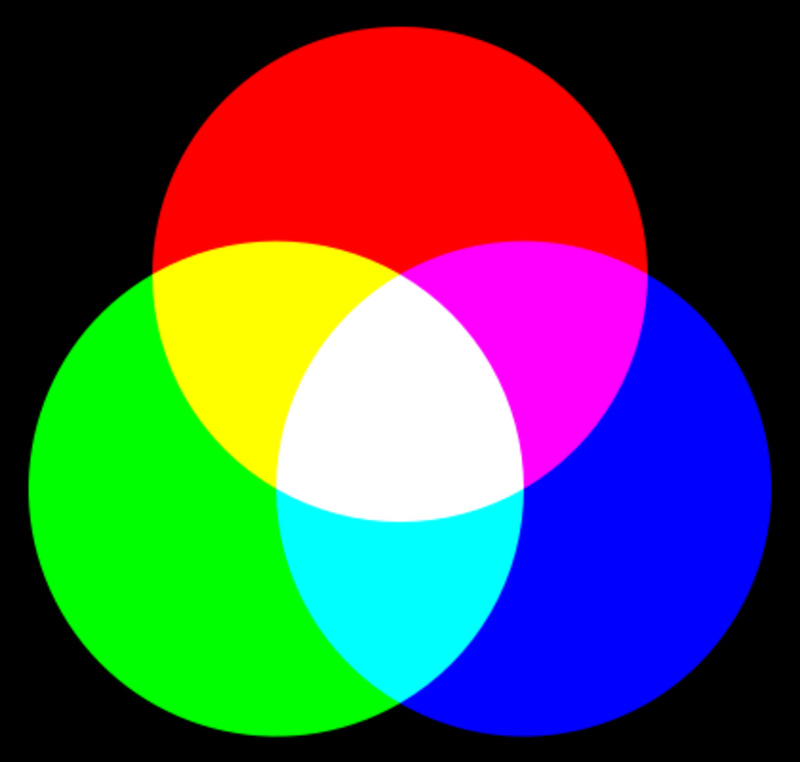 Color therapy is based on the fact that our physiological functions respond to specific colors. How does this happen? Within the brain are pineal glands, which control the daily rhythms of life. When light enters through the eyes (or the skin) it travels neurological pathways to these pineal glands. 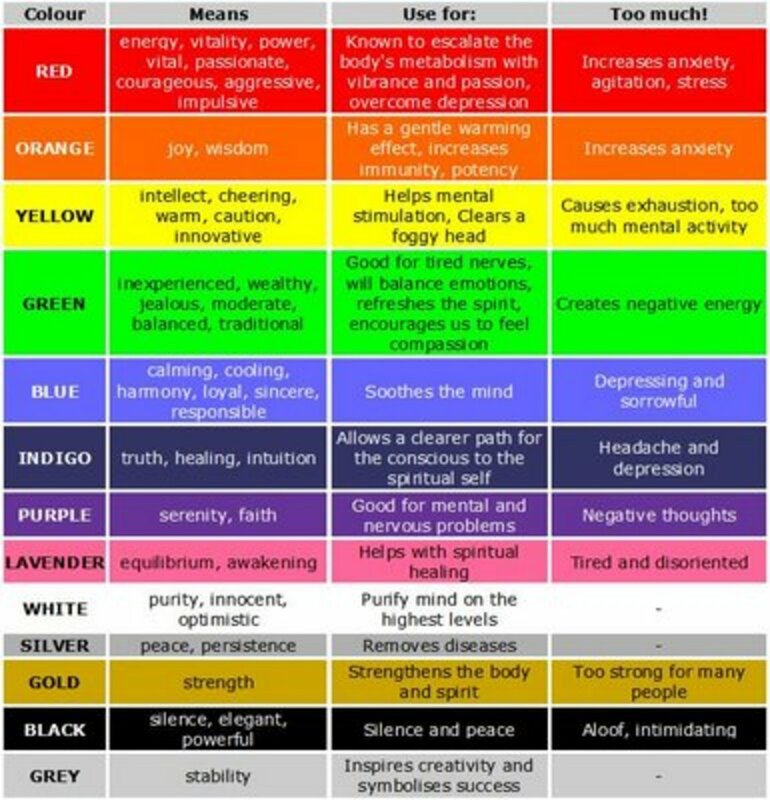 Different colors give off different wavelength frequencies and these different frequencies have different effects on physical and psychological functions. The example given above with yellow, red and orange in the fast food restaurant is just one way this principle works. Let's look at specific colors and their proven effects. Black – increased self-confidence, air of power, strength. (Wear your black “power suit” to an important meeting or interview). 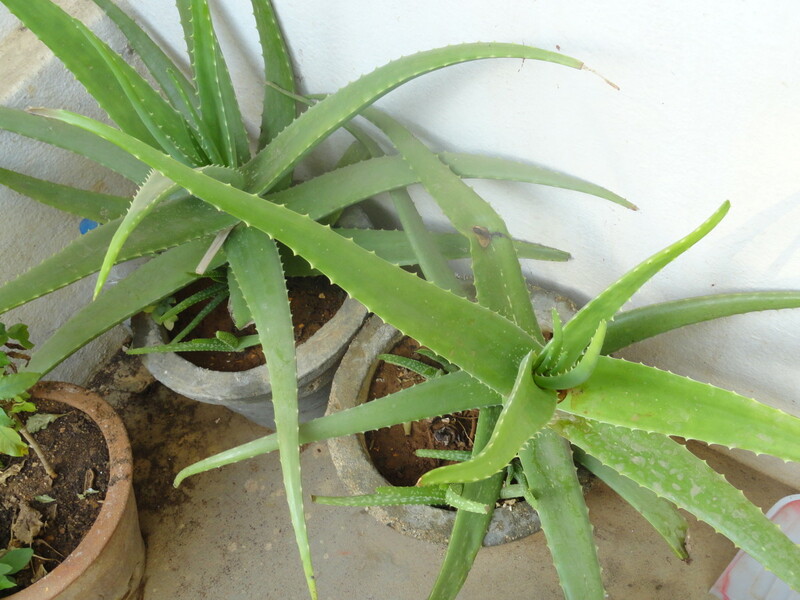 Pink – used in diettherapy as an appetite suppressant, relaxes muscles, relieves tension, soothing. (As part of a weight control program at Johns Hopkins Medical University in Baltimore, patients are given a color square called "bubble gum pink," which has been shown to suppress appetite and stress related snacking. This same color on walls has reduced the violent tendencies of prisoners as well as calming excitable mental patients). Yellow – energizes, relieves depression, improves memory, stimulates appetite. (Since yellow helps improve memory, try studying by writing your notes on a yellow legal pad). Orange – energizes, stimulates appetite and digestive system. (Want to feel energized? Wear orange). Exposing the body to colored light is also believed to aid in healing. Green light is believed to help heart problems and cancer, while blue is used to treat ulcer pain, inflammatory disorders and back problems. Red helps treat skin problems, bladder infections and anemia while orange works on allergies and constipation. Yellow light can also heal muscle cramps, hypoglycemia and gall stones. Color therapy can also be incorporated by using paints or simple blocks of color. Practicing color therapy can be as simple as choosing the color clothing you'll wear or what color you paint your bathroom. There are a number of ways to experiment with how color affects you. But if you tend to get hungry between meals, you might want to carry around that swatch of bubble-gum-pink. How can you perform color therapy on yourself? One of the easiest ways of accomplishing this is with simple colored swatches of fabrics. Felt or other cloth squares can be found in all the colors of the rainbow. They can be used to balance the seven chakras. 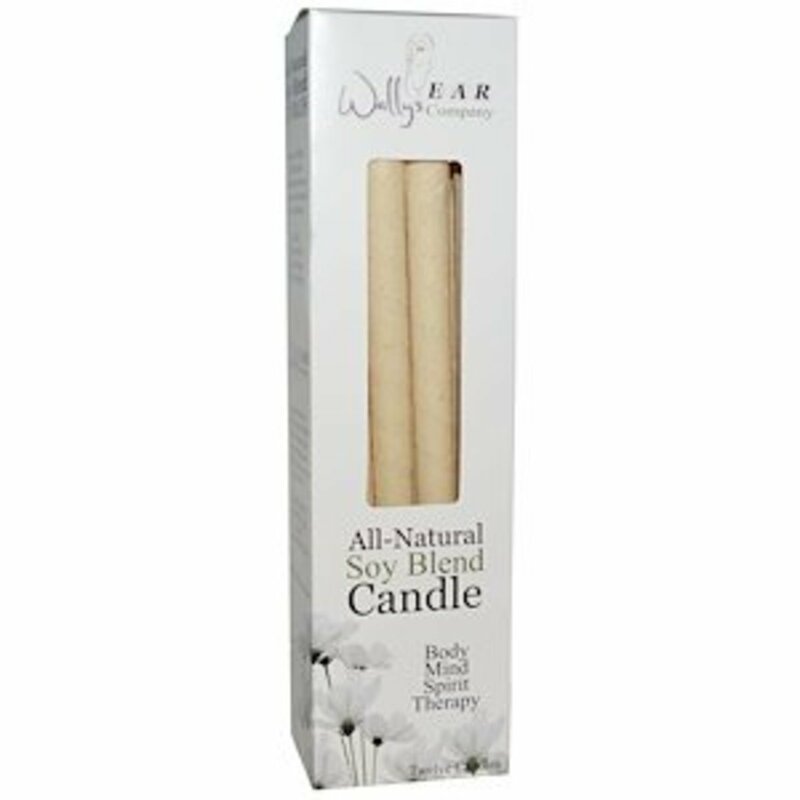 This is an inexpensive tool for quick daily chakra therapy and color healing. 1. Select a quiet place where you will not be disturbed for about fifteen to twenty minutes. 2. Lie on your back on the floor or on your bed. 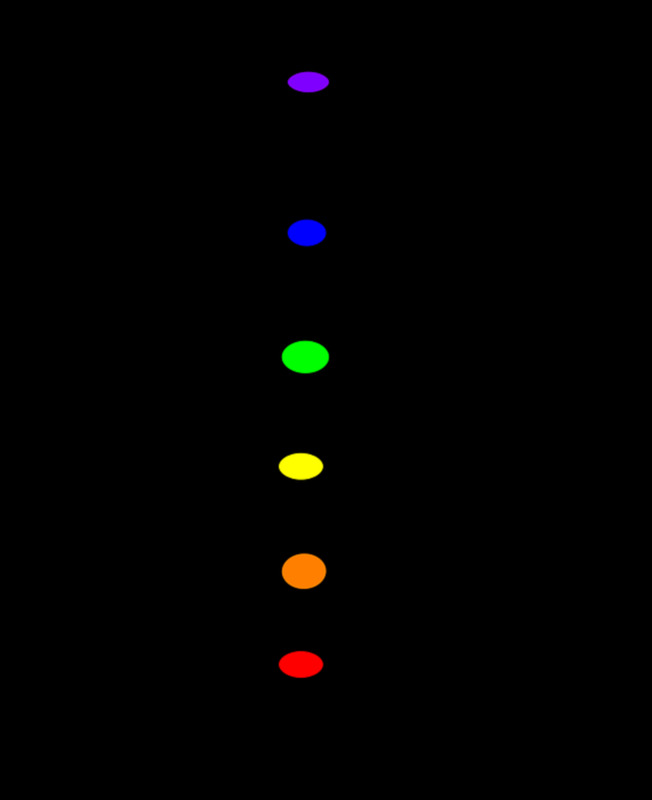 Have seven cloth swatches corresponding to the rainbow colors with you (red, orange, yellow, green, blue, indigo, and violet), one for each of the seven major chakras. 3. Close your eyes and relax. Take several slow, deep breaths. 4. As you begin to relax, look back over the day's events, in reverse order. Start with the moment you laid down and review the day backward until the moment you woke up. 5. Identify the major emotions and attitudes that you experienced or were exposed to in other people. What chakras were most likely to have been affected by them? Refer to this article if necessary. 6. When you have completed this evaluation, take the color swatches for the chakra(s) you have identified, and lay them on the part of your body associated with the chakra. 7. As you lie there, with the color swatch upon your chakra point, visualize the color being absorbed and drawn through the chakra and into the body. Let your awareness focus on the fact that, as you lie there, the chakra is being balanced, along with all organs and systems of the body associated with it. (You’re involved in a bit of self-hypnosis now). 8. Take several deep breaths, focusing on drawing the color through the swatch into your body's chakra and restoring balance. Continue this for three to five minutes, or until you feel it is balanced. 1. 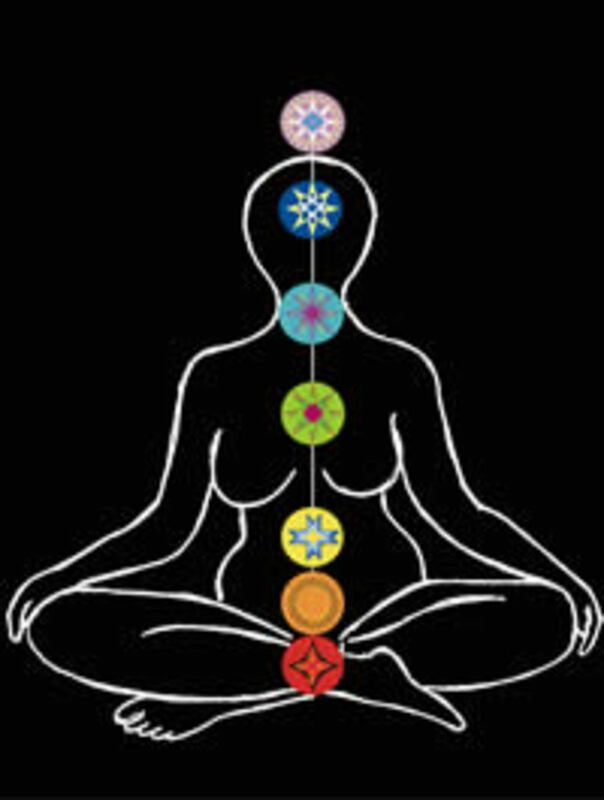 Place all seven color swatches upon the chakra points of the body. 2. Breathe deeply and simply allow your body to absorb the rainbow energies. 3. As you lie there and breathe in the colors, let your awareness focus on the fact that each chakra is being strengthened, balanced, and harmonized with the others. Know, feel and experience that your entire energy system is strengthening. Feel yourself coming into complete balance. Know that all of the physiological aspects of your body are being balanced and healed as you absorb these colors through your chakra centers. 4. 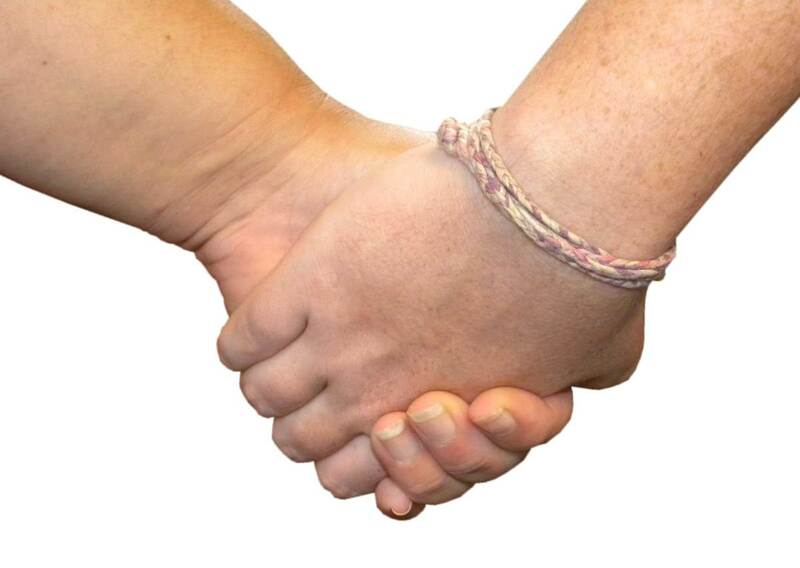 Leave the swatches on for five to ten minutes or until you feel yourself fully balanced, charged, and aligned. Important: Color therapy and chakras can be helpful but remember, they are never a substitute for medical attention. © Copyright BJ Rakow, Ph.D. 2011. All rights reserved. Author, Much of What You Know about Job Search Just Ain't So." An enlightening book about job search with the facts about interviewing, negotiating, networking, and creating a powerful resume. Thank you, chris, for both the visit and your gracious comment. i've been curious about this subject.. green does seem to have a very calming effect on me, and you explained it beautifully!!! Very perceptive of you, Marie, I wonder if she knows about Color Therapy. You are most welcome, bill, the pleasure is all mine. And I agree with you 100% - Do It Yourself projects can be motivating as well as fun. Except for one which deserves a separate hub of its own with adult content. I like DIYs. It makes people strive too to learn more. Thanks for this post. Thank you for the visit and the thanks, advisor4qb. Glad that you found me just in time! Bookmarking this! I SOOOOO needed to read this right now! Thanks! It was my pleasure, Money Glitch. Thanks for the kind words and the thumbs up. There is no question that various colors have different effects on us and we are learning more about this phenomenon every day. Thank you, alexandriaruthk, for the comment and the visit. Nice to make your acquaintance. Thank you, Green Lotus, it would be my pleasure to link to your hub, too. See my comment on the aforementioned and very interesting hub you wrote about Designing with Color. Excellent and so comprehensive drbj. I'd like to place a link to it from my Interior Design with Color Hub! So, jayjay, you're no longer the woman in red. Thanks for your comments. I'm always fascinated by the ways that color has such an influence in our lives. It's interesting that you mentioned a bright red top. When I was coaching women executives, a black power suit was always suggested for making "powerful" impressions. Never a red suit. I found that male executives often seemed to be more uncomfortable around women in red.